I have been an avid fan of MasterChef Australia and Junior MasterChef for as long as I can remember. 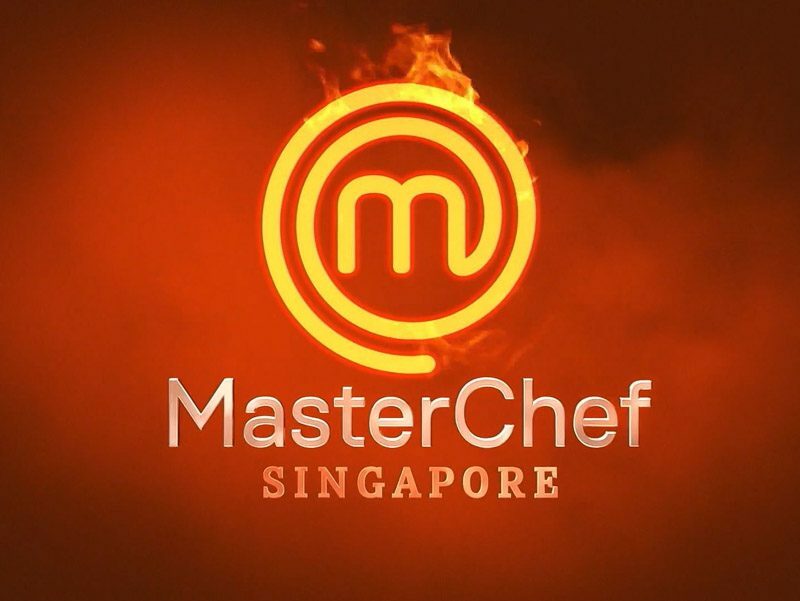 So it was with piqued interest that I decided to watch and follow the broadcast of MasterChef Singapore on free-to-air TV. The initial controversy aside, (Seriously, Mediacorp. It’s 2018. Did you really think you could get away with a move that could potentially be misconstrued as racist? 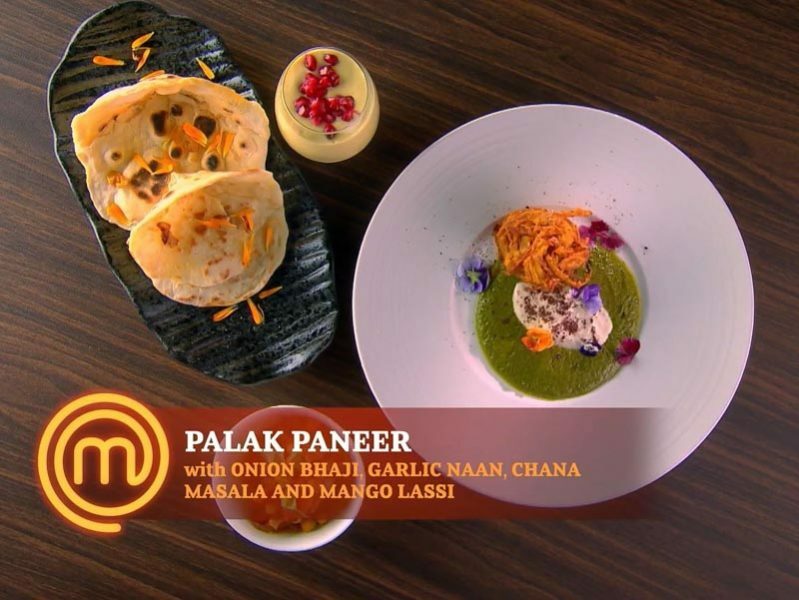 ), there were brilliant moments on the show where the flavours of Singapore shone through. 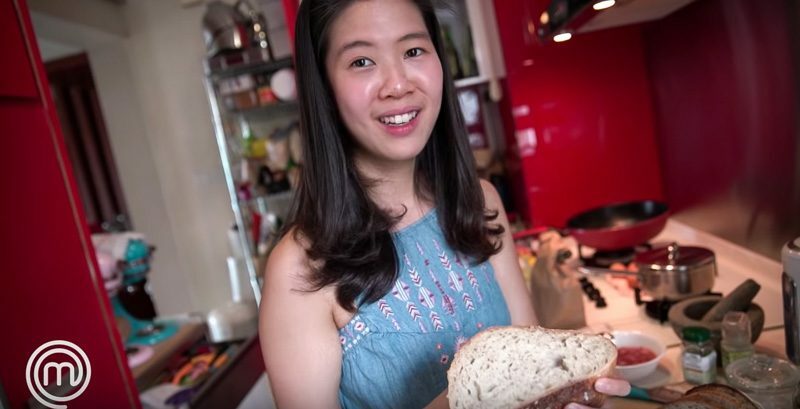 In fact, right from the get-go, the question of how to whittle down eighteen budding chefs to ten was answered with a uniquely Singaporean solution – let them make sambal. I’m glad that the show was eventually shown on Channel 5, or else we would not have had the opportunity to see the likes of Sharon and her tough-no-nonsense attitude in the kitchen, or Sowmiya and her courage to cook outside her vegetarian box or Shamsydar who, despite her violent allergy towards seafood, managed to serve up the best bisque in the ‘Pressure Test’. But enough about my favourites. 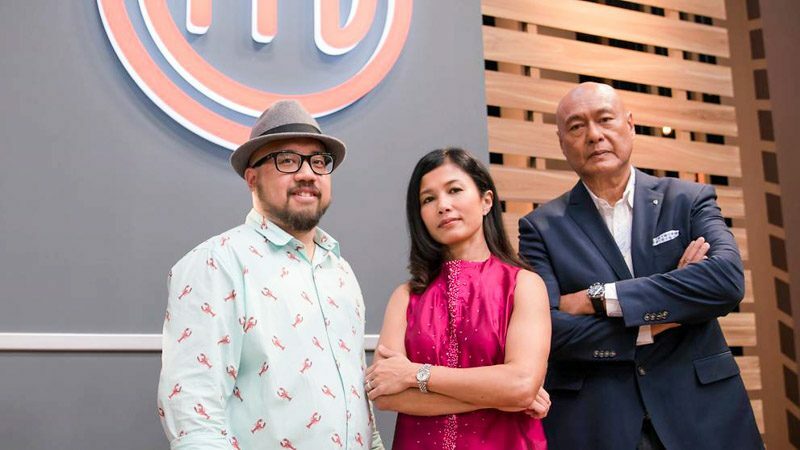 Let’s talk about the competition itself and get this out of the way: Zander Ng was the producers’ winner (congratulations, of course) but for me, Genevieve Lee was the true champion of MasterChef Singapore. In writing this commentary, I re-watched all the episodes and made copious notes for reference. One thing was crystal clear: Zander loves his Italian cuisine. In fact, Zander came into this competition with pasta on his mind and dough on his fingertips as he churned out variation after variation of the same type of starch. If it’s not risotto, it’s spaghetti. If it’s not spaghetti, it’s lasagna. This handicap even became a running joke amongst the contestants. In the ‘Invention Test’ of episode two where the cooks had to create a Chinese-themed dish, unsurprisingly, Zander made a very predictable Braised Soya Sauce Chicken Risotto. In episode five, for the family challenge, he made Chilli Crab Pasta. Yes, Zander, we get it. You know your pasta. But must you be so one-dimensional about it? Gen, on the other hand, came into this competition, a fresh sponge straight out of the plastic packaging, ready to learn and absorb all kinds of new culinary ideas and knowledge. This girl did her homework. How? By cooking obsessively I would imagine. Gen thinks about food like an artist. The ingredients are her paint and the plates, her canvas. She asks not what the ingredients can do for her, but how she can maximise the potential of these raw forms in her hand. 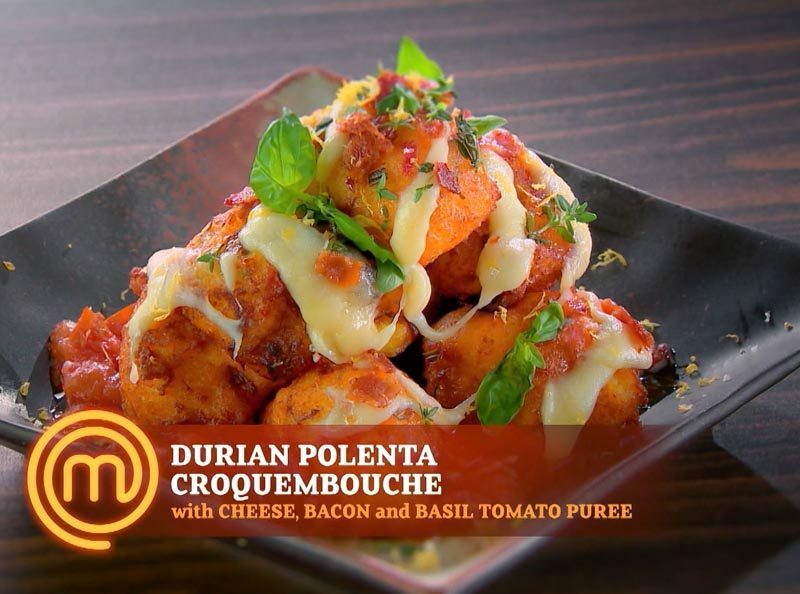 When given durian as the main ingredient (brought in to the kitchen with such faux aplomb with production members wearing hazmat suits carrying a box with a ‘toxic’ element inside), Gen crafted a Durian Polenta Croquembouche with cheese, bacon, and basil tomato puree. A croquembouche, for the uninitiated, is a towering dessert of choux pastry in the shape of puffs, drizzled with shimmery threads of caramel. Here, Gen has taken what was once a dish strictly reserved for the realms of dessert and hurled it into the savoury space. On the other hand, Zander made Durian and Spring Vegetable Lasagna. A dazzling display of such pedestrian proportions which for some strange reason, earned him praises from the judges. And who are our MasterChef Singapore judges? For an expert in the soulful art of Peranakan and European cuisine, we have Damian D’Silva, Executive Chef of newly-opened Folklore at Hotel Destination Singapore Beach Road. For an element of tough love, we have Bjorn Shen, Executive Chef of Artichoke, a Middle Eastern restaurant (so painfully hip beyond measure) serving cool classics such as lamb shawarma gyozas, honey-za’atar fried chicken, Doritos tabbouleh, and baklava doughnuts. And then there’s the empath, Audra Morrice, cookbook author and one-time finalist of MasterChef Australia 2012 who brings a level of camaraderie to the contestants that can only be achieved by someone who’s been through all that pressure and expectations herself. 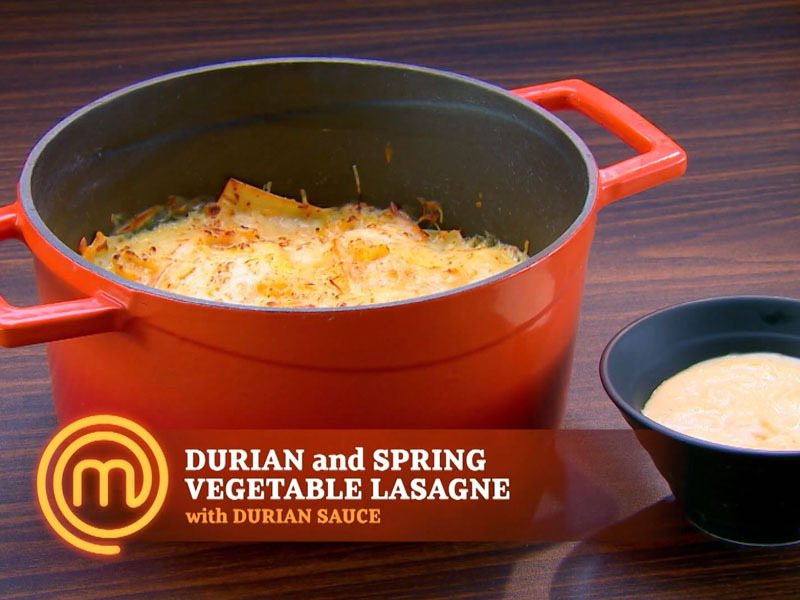 Right from episode one, MasterChef Singapore seemed very insistent on ensuring every dish highlighted an Asian element in some way. If it’s not an Asian ingredient, it’s an Asian way of cooking or an Asian way of presentation. But what is Asian? What do the judges really mean when they say Asian? The authentic Asian culture is rich and it’s so varied. It’s a Venn diagram of people and places that intersect this way and that to birth a new approach to Asian gastronomical sensibilities. Unfortunately, to the judges, at times, Asian must only mean Malay, Chinese, or Indian. Anything out of the realm of this trinity is considered not Asian enough. 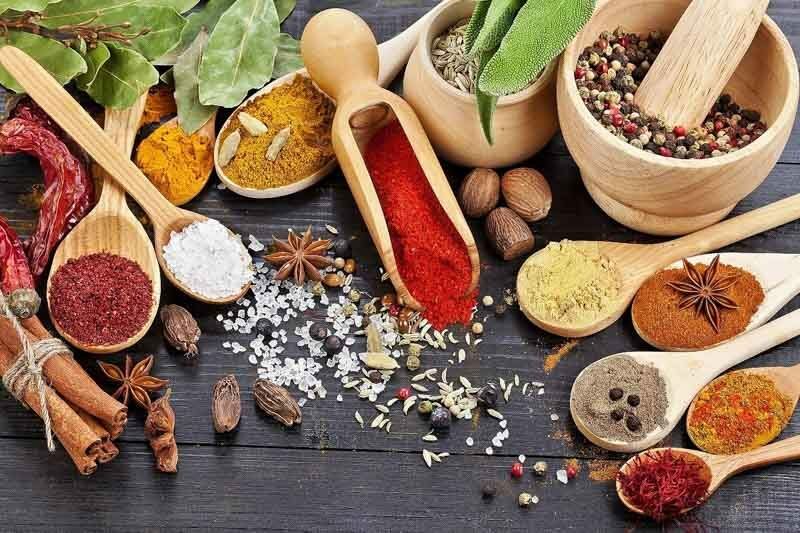 Fast forward to the final presentation, the two contestants were tasked to prepare a five-dish Asian-style course: a meat dish, a fish dish, a vegetable dish, a starch dish and a dessert. For this finale, Gen wanted to do Gen. And what Gen is, is nothing short of a creative powerhouse. I constantly marvel at the magnificence of that young culinary mind. 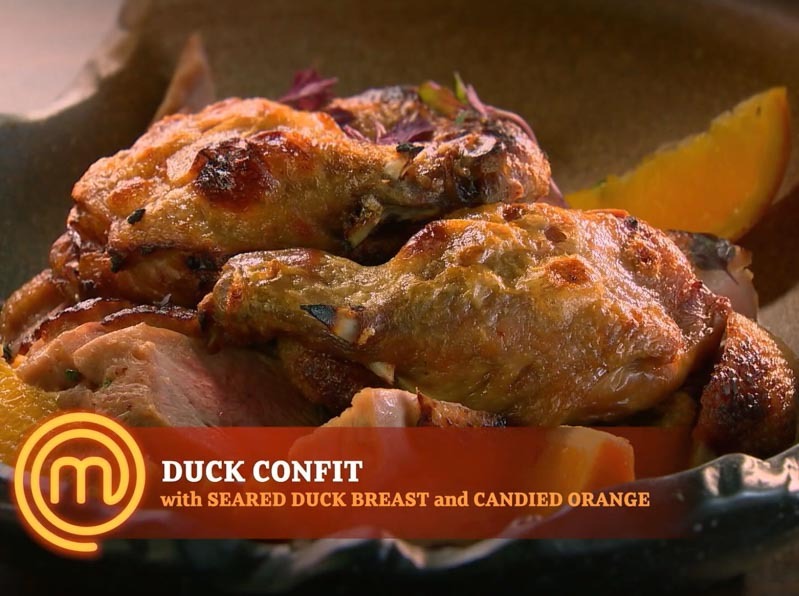 She started off with a Duck Confit, traditionally a two-day prep work that involves duck that has been salted and then cooked very slowly and gently in fat. The duck was then served with a side of candied oranges, spiced with cinnamon, star anise, and Sichuan peppercorns. So many techniques and such expert mastery of flavours. 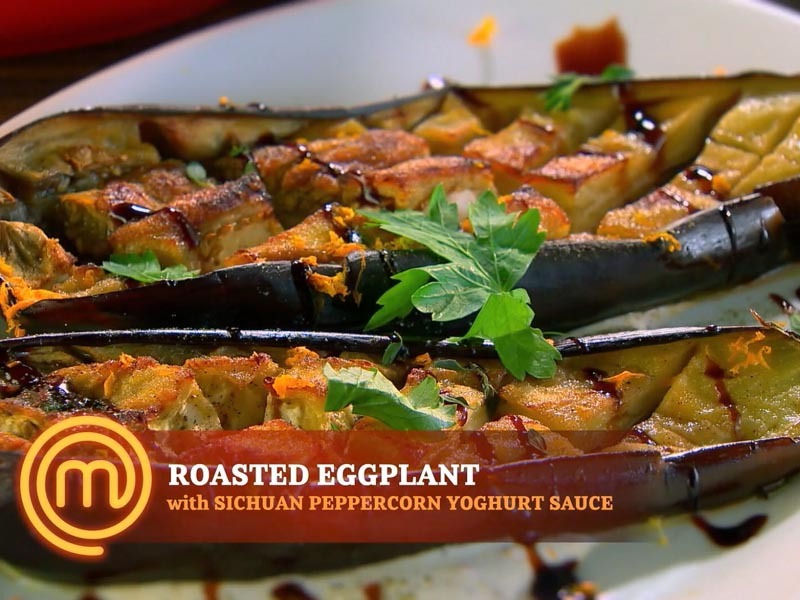 Her vegetable offering came in the form of Roasted Eggplant served with a side of Sichuan Peppercorn Yoghurt Sauce. This brought on comments from the judges who felt that the Sichuan taste was not prominent enough. Please. Sichuan peppercorns are not meant to be tasted, they’re meant to be felt. It’s as if they were going out of their way to pick on this perfectly acceptable dish. Why I wonder. Is muted awe par for the course of a pre-determined competition? 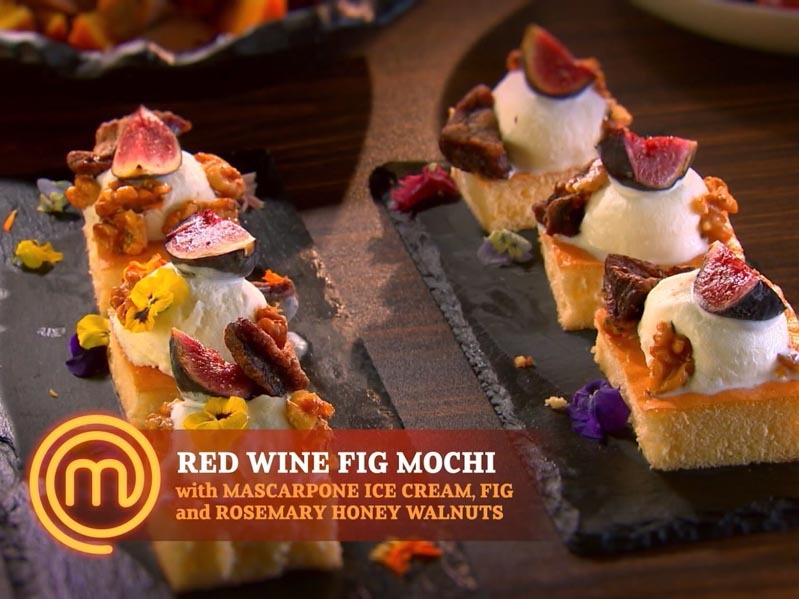 The star of her presentation for this banquet was, undoubtedly, her dessert of Red Wine Fig Mochi with Mascarpone Ice Cream, Fig, and Rosemary Honey Walnut. This is a textbook example of a perfectly balanced dessert: acidity from the red wine, sweetness and crunch from the honey walnuts, and a slight tinge of sourness from the mascarpone to balance out the flavours. She wanted to make a spectacular dessert that plates fantastically and she succeeded. As for Zander, true to his style, his dishes were merely an extension of what he knows and is familiar with. It’s a very predictable formula he’s used time and again in this competition. Take a dish he has made before and made well and then amp it up with whatever is required of the challenge. The judges call it ‘hero-ing’ up the dish. I call it lazy. 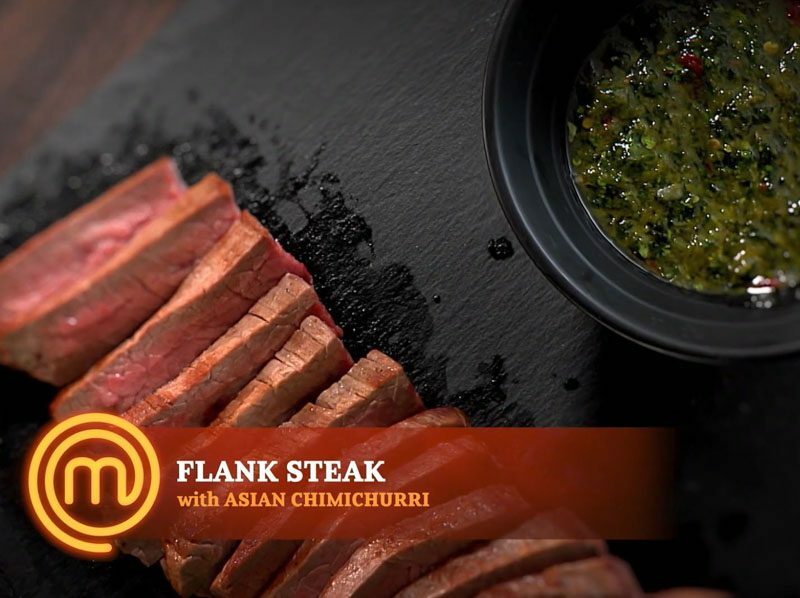 For the meat dish, he presented a Flank Steak with, get ready for it, Asian Chimichurri that is apparently Asian by way of coriander. And of course, it won’t be a Zander meal without a pasta. He did not disappoint and served up a Fettucine Carbonara with Sichuan Peppercorn for the starch dish. Seriously, Singapore needs to stop putting this damn Sichuan peppercorn into every single thing. For fish, he made a pan seared Red Snapper (with some bones still inside, tsk tsk) and, surprise, surprise, a lemongrass beurre blanc (originally a French sauce made using white wine, vinegar, and cream). 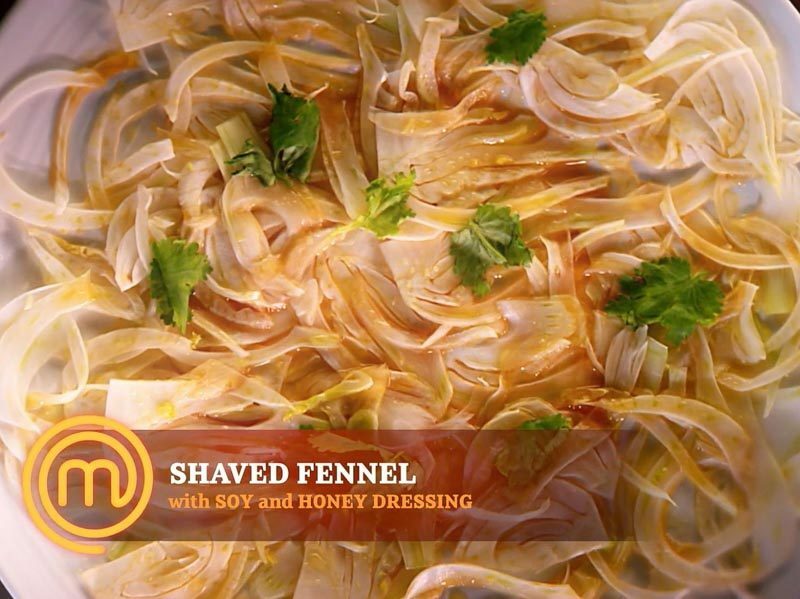 His vegetable offering was thinly-shaved Fennel with Soy and Honey Dressing, and Zander left Bjorn feeling overwhelming emotion for a vegetable. He rounded up the five-dish meal with an unnaturally bright green Pandan Panna Cotta that failed spectacularly because of either poor understanding of the ratio of powdered gelatin to water, or that it didn’t have time to set because, as anyone who’s tried making this dessert knows, panna cotta takes a ridiculous amount of time to properly set. On a side note, for a cook in an internationally-renowned cooking competition to use chemically-derived pandan paste from a tiny glass bottle is sacrilegious. Gen made paneer cheese from scratch, what’s your excuse, Zander? To be clear, I don’t know either of the top two contestants personally. What I know of them (or rather what I assume of them) comes solely from how they were portrayed in the competition. But that is not what I care about, no. What I do care about are culinary finesse and potential — progress and growth in a competition that at times completely throws you off. 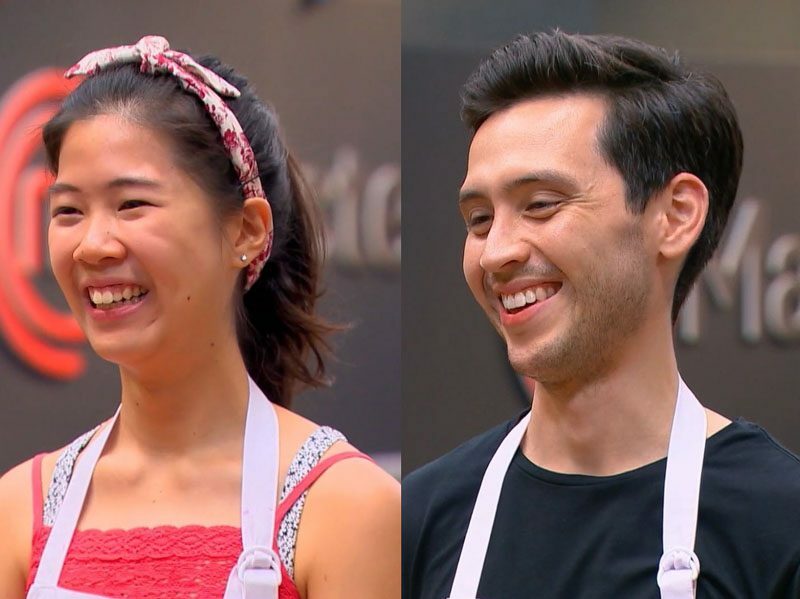 So How Did Zander Win MasterChef Singapore 2018? The truth is, I don’t actually know. And any opinions alluding to that would be mere speculation. If asked, Mediacorp would dole out the usual PR speak that speaks of absolutely nothing while the judges will stay mum, probably due to contractual agreements. But logic dictates that if in the final, your fish dish contains bones that a judge picked out while chewing and your panna cotta looks more like a thickened stew than a dessert, shouldn’t it automatically disqualify you from winning? So what gives? Was there selective creative editing done to ensure some kind of drama? After a whole day of shooting, everything is distilled down to a single 40+ minutes episode. Lots of details could have been left out, or kept in according to the producer’s whims. We’ll never truly know what went down behind the scenes. Speculations are rife online. 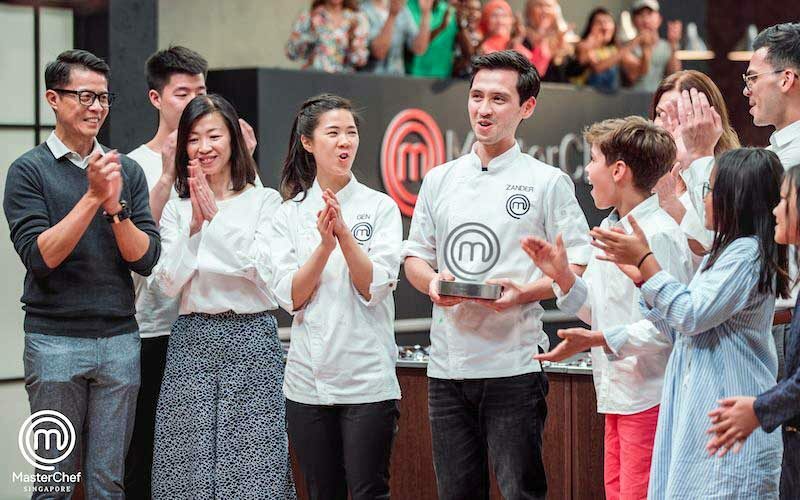 Some concluded that Zander, being male, Caucasian, and well-spoken, makes for a good representative of the main brand sponsor of MasterChef Singapore, Cold Storage; a supermarket more commonly frequented by the expatriate community. It’s true that having a relatable face would definitely help. Again, no one can confirm or deny it for as long as Mediacorp stays silent. Is Zander a good cook? Yes, he is. But is Gen better? From what we saw in ALL the episodes, one hundred per cent without a shadow of a doubt. However, if we were to base the results off a single episode, competent chefs have been eliminated because they could not follow the challenge’s brief, such as Aaron dropping out because he couldn’t replicate an existing recipe, or Shamsydar crashing after receiving someone else’s bag of groceries. Still, what was presented in the final episode seemed to favour Gen.
Seth did a public poll a couple days ago, and the public’s opinion was pretty clear although we’re limited by the small sample size. Then again, what we perceive is purely based on what we saw through the MasterChef series, not what we were able to taste. Should a winner not possess qualities of courage to stray slightly outside the box, cry when it fails but eventually succeeds? Should it not be someone who pushes themselves beyond their personal limits even at risk of their own preservation? 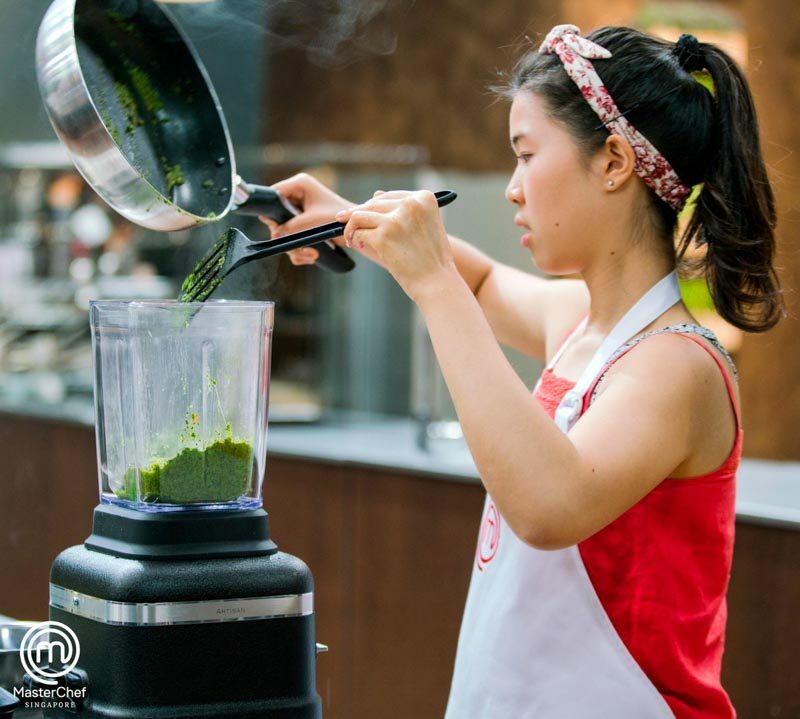 What does a winner of MasterChef Singapore look like? To me, a MasterChef winner must be inspirational, brave, and willing to make mistakes by way of cooking things completely foreign to them. They must have the perseverance and gumption to attempt foreign techniques they’ve only ever read of before in culinary literature. A MasterChef winner must, at its fundamental level, know how to debone a fish cleanly and completely. And for me, Zander is none of that. 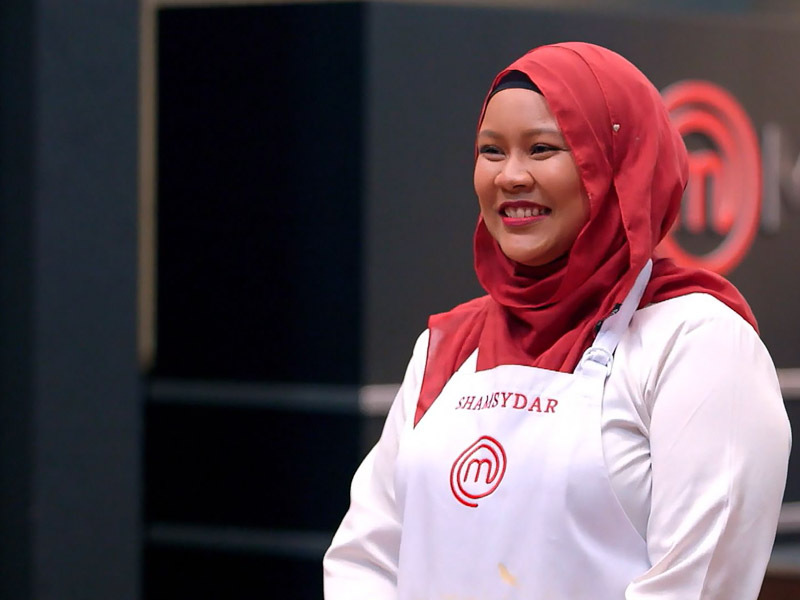 Congratulations, Gen. You are the true champion of MasterChef Singapore and let no one tell you otherwise.